Commercial development is picking up speed in the Birmingham market, but there’s even more action in the industrial sector, says a CoStar Group report. Atlanta-based development company Third & Urban recently revealed plans to turn an abandoned warehouse in downtown Birmingham into a mixed-use site for commercial space and apartments. The warehouse, just blocks from Railroad Park, sold for $3.9 million last summer. 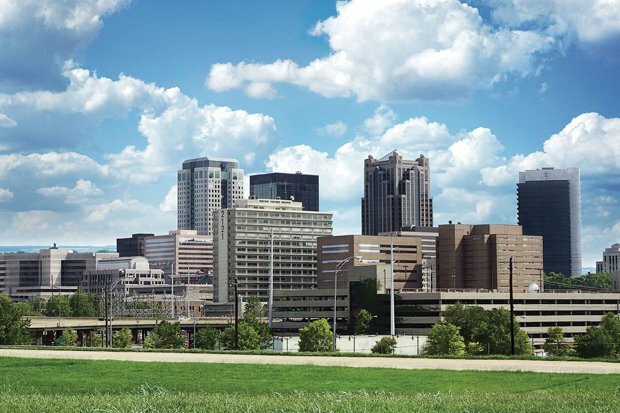 Birmingham office construction, which lagged the national trend for five years, is now back to historical averages, generating vacancies that give tenants more negotiating power. On the residential side, Birmingham rent is vastly more affordable than most places, averaging just over $875 per month. Income growth has easily outpaced rent growth since 2014. New class A buildings are offering concessions — up to half a month’s rent — to better compete with existing properties due to a building surge. The flip side of all that development, Raber says, is a vacancy rate for multifamily housing being at 9 percent now in Birmingham, while the national average is closer to 6.5 percent. For that to improve, Birmingham will have to attract and retain more high-end growth drivers in the job market, such as technology and medical innovation companies that pay top wages to employees more inclined to rent than buy. There’s also the millennial factor, the analyst says. Studio apartments didn’t much exist in Birmingham until recently, when developers began targeting the millennial demographic, a group willing to pay a higher price for the right location, even if it has a smaller bedroom. “Birmingham is really holding its own in terms of showing both restraint on the capital side and not doing the overbuilding that comparable metros like Nashville have done. I’m really bullish on this metro, ” Raber says.